One of my goals is to read the whole Bible from Genesis to Revelations. I must say that I have started this process several times and I have read a significant amount, but not from beginning to end. In fact, I have started two times this past year and probably several other times in previous years. Since it is something that I truly want to do, every time I stop then I have to re-start again and obviously, I start from the “In the beginning” in Genesis. I have read this particular book of the Bible multiple times. In a previous blog, I mentioned that Genesis explained to a very primitive society the beginning of the universe and our existence. For us, Christians, it is important to understand is that “God created the Universe and life in a very complex way”. We also need to understand that a primitive society wasn’t going to be able to understand anything related to the carbon molecule. Let me share with you that I have so many questions about the meaning of some of the episodes in Genesis. Obviously, I already acknowledged that some of the narratives are using a language that humans can relate to. Nevertheless, one of the episodes that I found very puzzling is how the serpent – the symbol of sin- got into the paradise? Wasn’t paradise supposed to be perfect? So what happened there? "So God created mankind in his own image, in the image of God he created them; male and female he created them." We, human beings, were created or designed by God, but he didn’t create a robot or a computer, he gave us “free will” and the ability to choose between good or bad. In other words, we can process ideas and information and choose an action. As we have seen in our lives, an action generates a chain of consequences. For the most part, good actions will generate good consequences. But you have also seen the snow ball effect of a bad action, a sin. Somehow, it appears like the consequences keep getting worse and worse. Now imagine, thousands of years, generations after generations, where the mankind chose to sin, to hurt the fellow human. The cumulative effect of all of those years doing things against ourselves is seen nowadays as poverty, war, hunger etc. Now, “the Greatness of Being Human” relies on the following statement; “So God created mankind in his own image.” That means is that we have an enormous potential to do good things, to love, to help each other. It is very clear if God is love and we are created at His own image then our potential to love, help, and take care of each other is truly enormous but definitely underutilized. 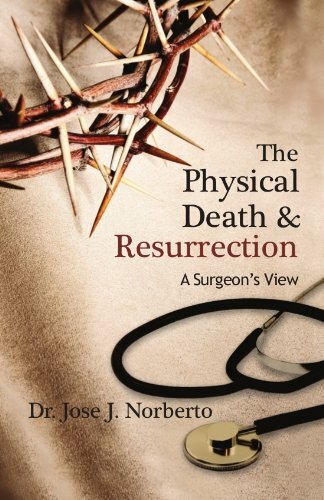 Stay connected with Dr. Jose J Norberto and his recent book, The Physical Death & Resurrection, A Surgeon's View. Don't miss out! Receive weekly blogs of inspiration, encouragement and revelation. Thank you! Please check your email to confirm it's actually YOU signing up!